Two new books by law professors examine the effects of technology on culture and commerce. 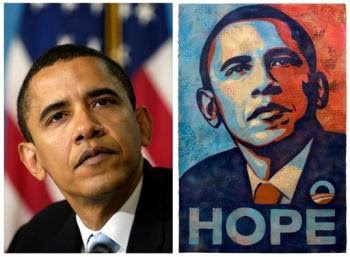 Intellectual property is the gift that keeps giving — for some. Current copyright laws, especially in the United States, tend to favor the incumbents, which is why Disney still owns Mickey Mouse and his posse. It wasn't always like this. Copyrights, trademarks, patents and other legal mechanisms associated with the ownership of ideas (and not things) once had finite terms. Their purpose was to allow creators or owners (not always the same entity) to materially benefit from the work, not to provide perpetual income. But technology has always been at least one step ahead of the law. And the ''rip, mix and burn'' of today can easily be applied to fairy tales, songs, plays and most every other aspect of high and low culture throughout human history. Two new books look at the oft-uneasy relationship between culture, copyright laws and creativity. 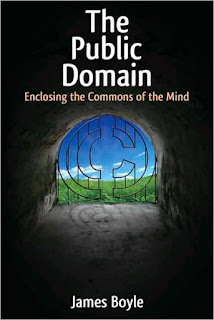 The Public Domain: Enclosing the Commons of the Mind. James Boyle. Yale University Press. 336 pages. Boyle is a Duke University law professor. One of the big challenges he faced in doing this book was resisting the unnatural tendency to write about this subject in formal, academic terms. He admits that his colleagues often devalue work if it eschews this dry style. He had concerns in doing so but decided that the message and substance required a more colloquial presentation. Fortunately, the author is a fine writer, gifted teacher and great explainer so readers can actually enjoy this thoughtful and important discussion without seeking assisted stimulation. He maintains that rather than protect creators, current laws hamper creation. He offers example of works that were in some ways derived from earlier ones, but the result was something that we'd unquestionably consider ''new.'' That's just for starters. Boyle also gets into the notion of Creative Commons, a sort of secular copyright that's legally recognized, too, and other issues pertaining to copyright law. The entire text of this book is available online here. 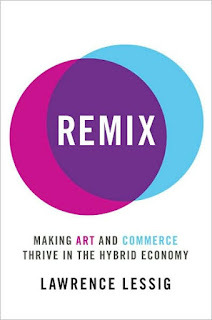 Remix: Making Art and Commerce Thrive in the Hybrid Economy. Lawrence Lessig. Penguin. 327 pages. Lessig's earlier book, "Free Culture" is still free online, and this new book is promised to be made similarly available. Here, the professor (Stanford Law) echoes similar themes but gets a bit more into the economic implications of loosening the restrictive reins of copyright. It may be paradoxical, but free versions generally serve as promotional tools for paid iterations of the same work. Monty Python, for example, just posted most of their comedy sketches on YouTube and sales of their DVDs have skyrocketed. Lessig and Boyle are strong and reasonable advocates. Fortunately they're also engaging wordsmiths, too.